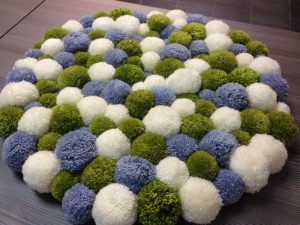 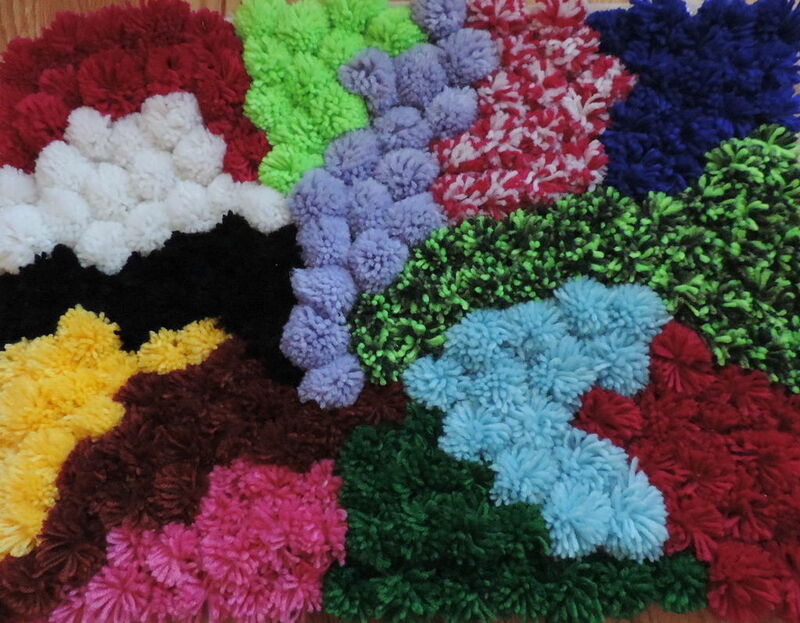 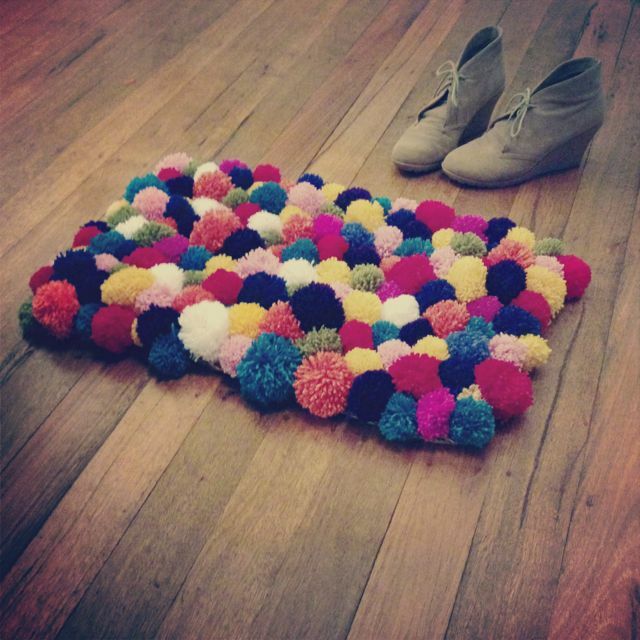 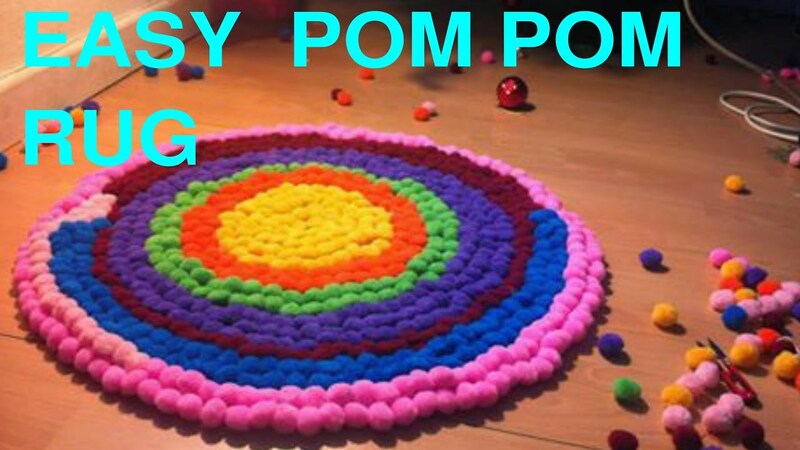 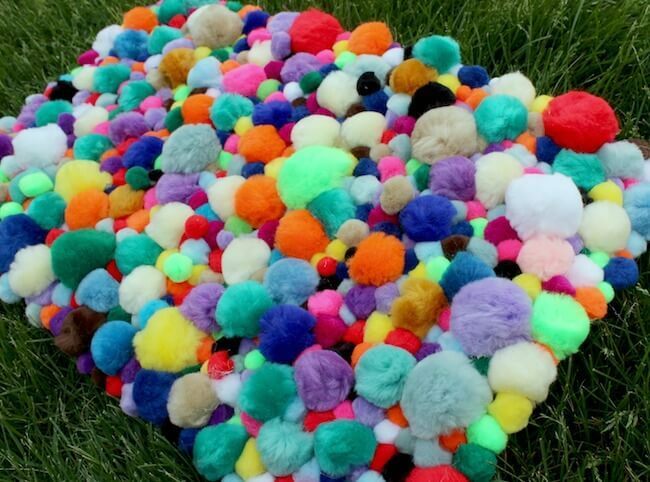 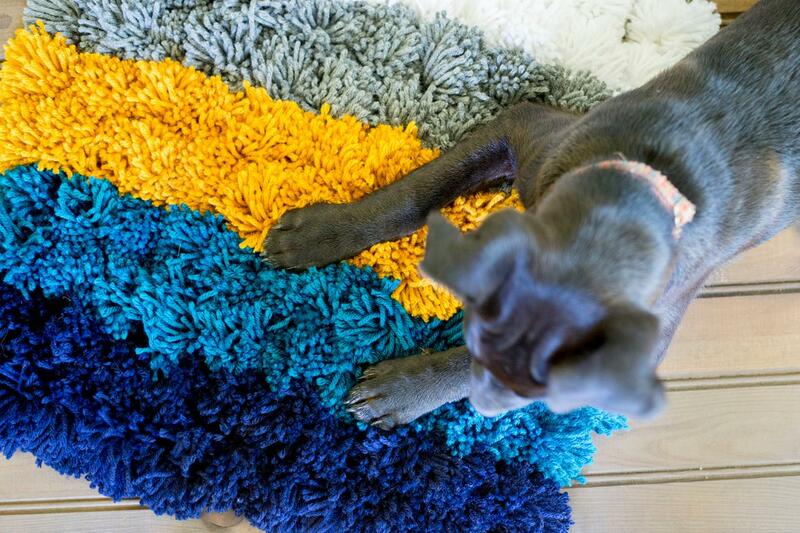 Upgrade the look of your interiors by designing a puffy rug using colorful handmade pompoms. 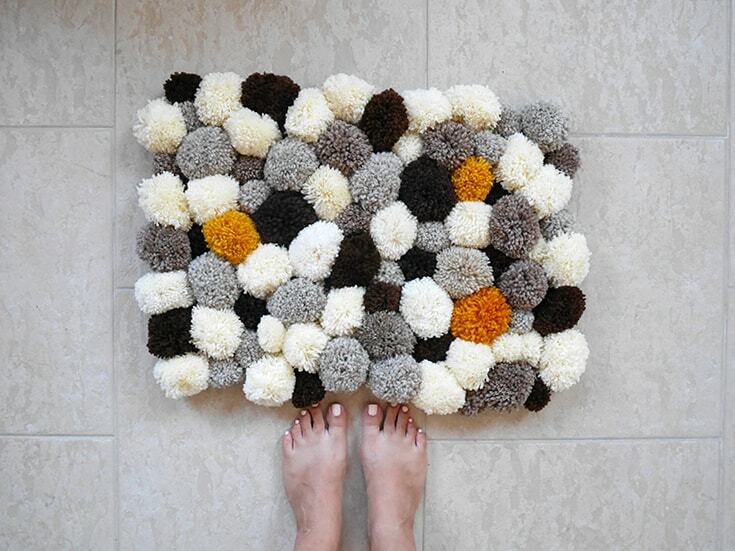 You can place it at the door step, bathroom, nursery, or your bedroom to give your feet a delicate touch. 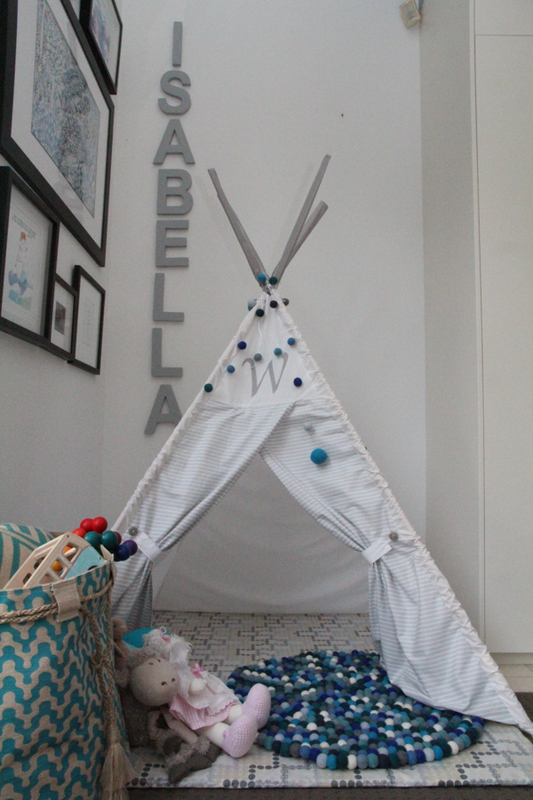 Have a look at the array of tutorials provided below to bring an authentic feel to your room. 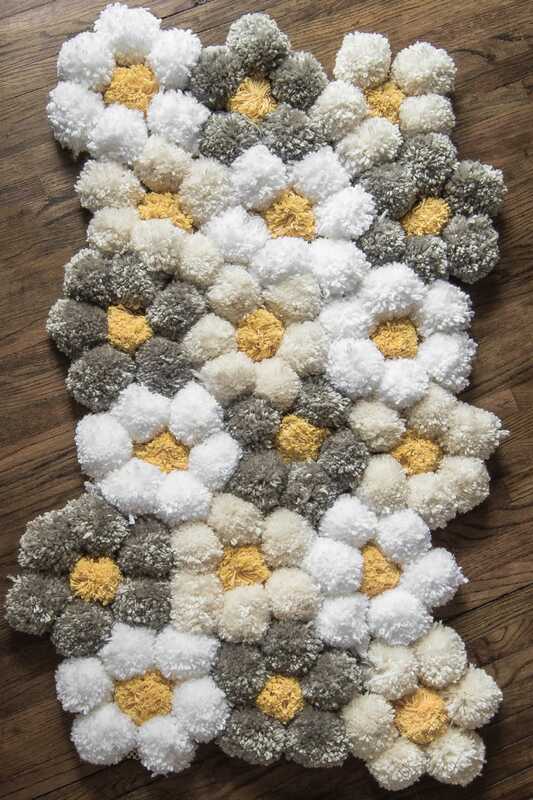 Arrange the fluffy pompoms in a grid-like pattern and stitch them together to whip up a snug rug. Tied to a non-slip mat, these pompoms are soft on the feet. 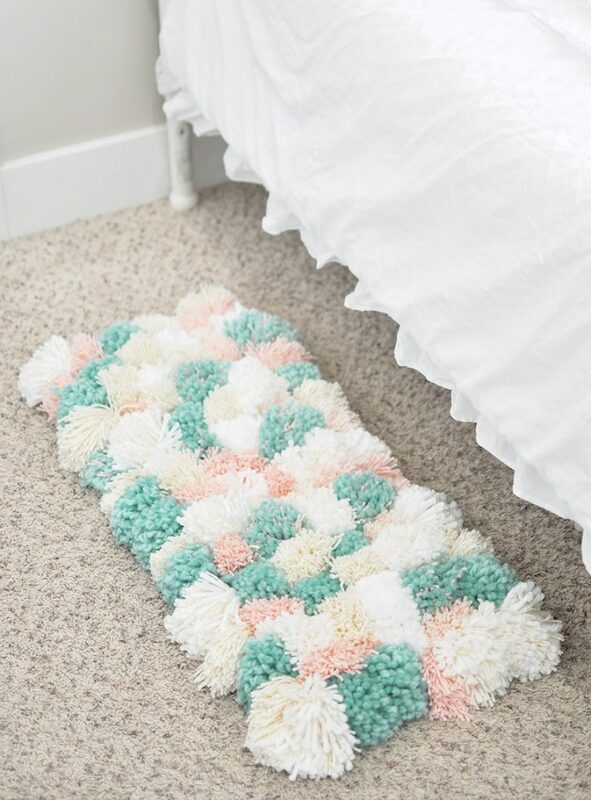 Place it outside your bathroom to dry your feet after a shower. 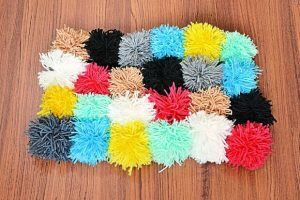 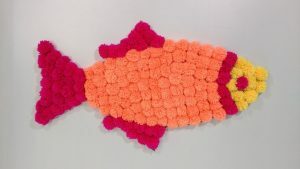 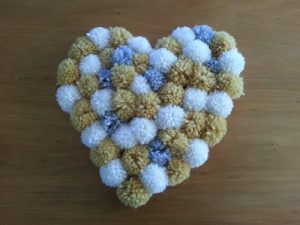 The tutorial shows you the process of making the pompoms from different-colored yarns and tying them to a non-slip pad. 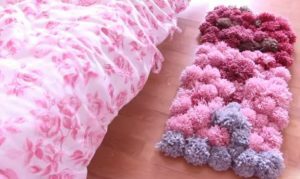 The rug with soothing appearance can be placed next to your bed so that your feet feel the warmth once you wake up from your bed. 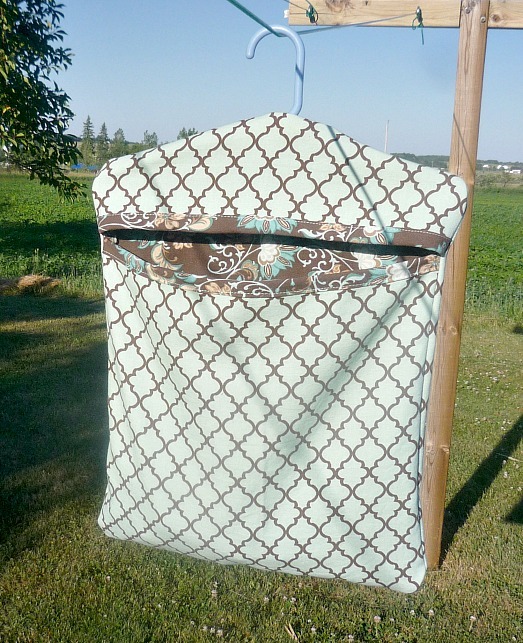 This one is a perfect welcome door rug for the guests coming to your house. 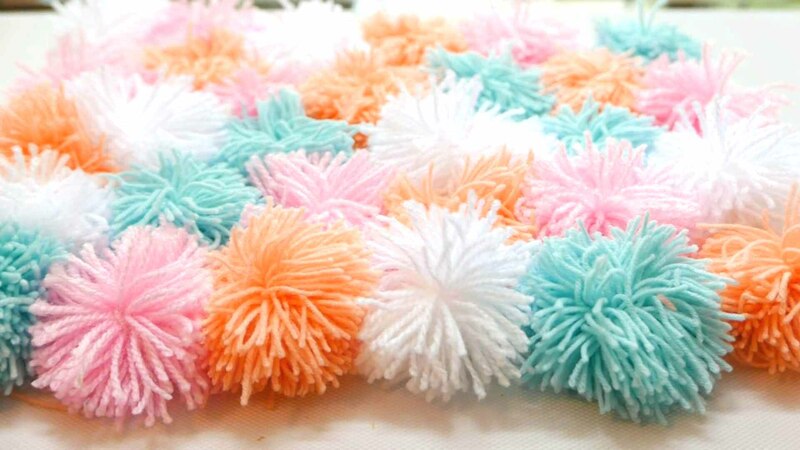 Washable as well, it should be taken care properly. 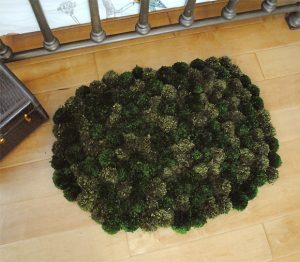 Here is an outlandish rug you can craft to add a cozy decorative element to your room. The solid appearance of the rug adds a pop of charm to your room. 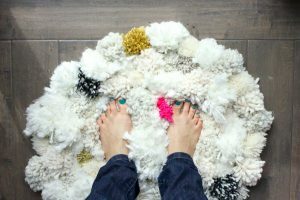 Wait till your feet touches and feels it. 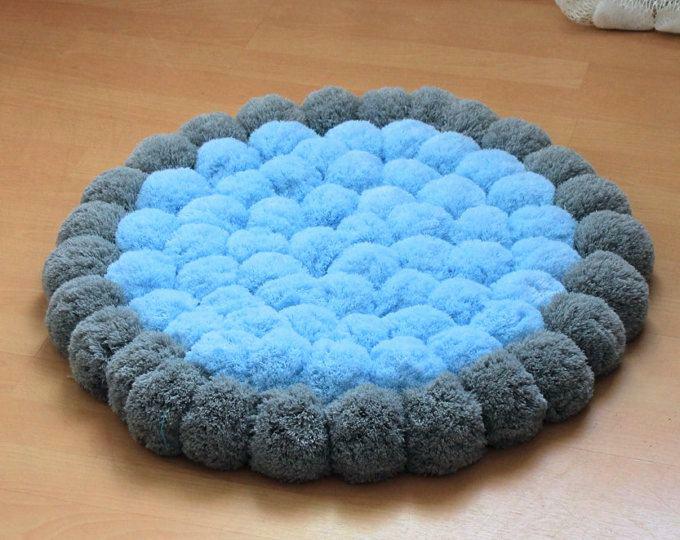 A fuzzy rug like this one serves as good sitting option or meditation mat. Having a vibrant-looking rug in your room has an overall huge impact. Bet you won’t be able to take your eyes off this breathtaking pompom piece. To keep an elegant and minimalist look, you can try out this fluffy rug to deck your wooden floors. 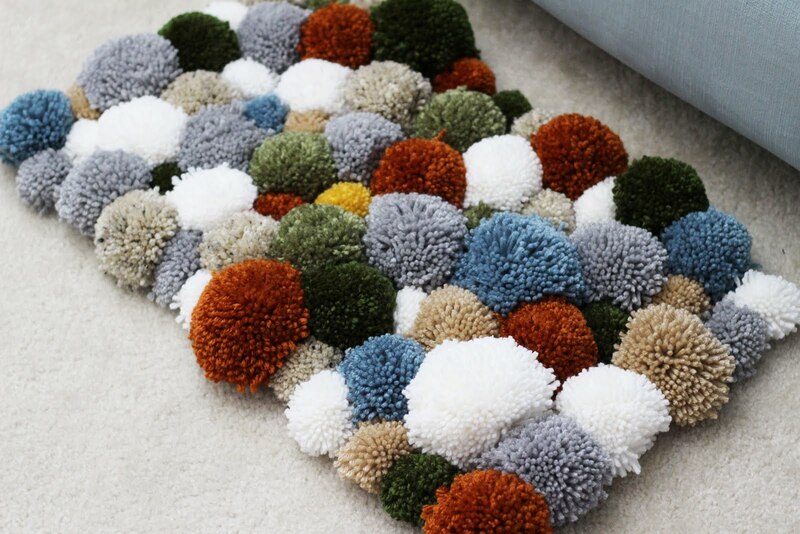 A prepossessing rug to place in your little one’s play space with pompoms stitched together for a subtle look. 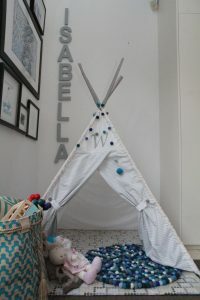 Your little princess will have a gala time playing, reading, or simply lazing on her adorable rug inside the teepee. Designed like a fish, the rug makes a lovely centerpiece for your living room. 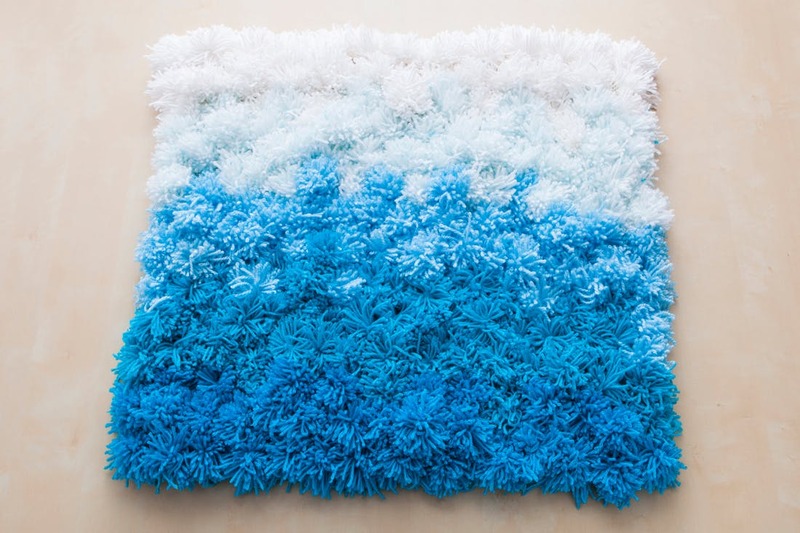 Give a beautiful addition to your room with a pleasant-looking rug made from spools of white and blue yarns. If you are impressed with all the swoon-worthy rugs, then take some time off and make one for your home. You can place it in any room based on your requirements. 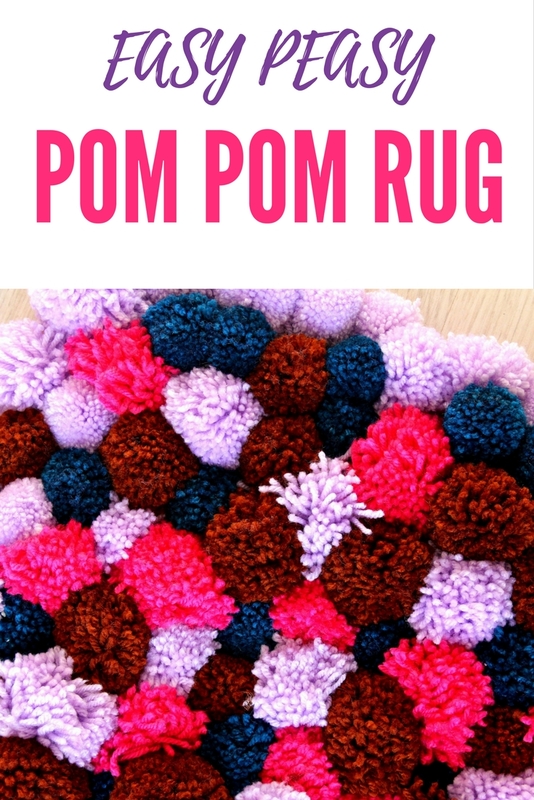 Let us know how it came out along with some suggestions as well.